It all looks gorgeous!!! Yay for a new real deal camera! YAY for a new camera! I think your pictures already look great! 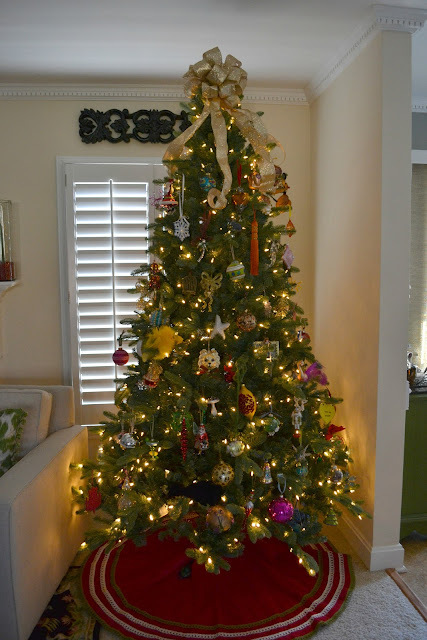 I love all your christmas trees throughout the house! And I had no idea Swarovski even made Christmas ornaments. What a great collection! Love it all! I especially love all the little trees around the house. Email me the deets on that camera for sure! Happy New Year! i want one of those 'big daddy cameras' - BAD - no one ever gets the "hint" tho - bah-humbug -- but LOVE ur decor babes! - happy new year! Beautiful Christmas decor! I love how you have all your frames displayed on the table!